Yes! Even With ZERO Arabic Knowledge! and today, reciting the Quran is a new level of experience for me. Being able to understand the Quran in its original language..
​...the experience is just beyond words. Picture yourself reciting only the 1st chapter of the Quran, Surah al-Fatihah..
And your faith and love for Allah grow stronger and stronger after each word you recite! Tears can just flow down your face without you even realising it. ​I want you to experience the same thing, if not, better. ​Thus, I designed a short yet comprehensive course to help anyone to understand Quran in its original language, Arabic. A course that will transform someone with zero Arabic knowledge to someone who can do grammatical analysis (I'rob) of the first chapter of the Quran, surah al-Fatihah, in just 48 hours! Do grammatical analysis (i'rob) of surah al-Fatihah and appreciate it like you never did! And you start out with ZERO Arabic knowledge! Cry or even laugh in happiness when you recite a verse of the Quran! Achieve a whole new level of quality experience in your prayers! Learn this beautiful Arabic Language through English Language! Attain His Love, Grace and a step closer to the Gardens of Paradise with every step you take to learn the language of the Quran. This course is designed specifically for anyone who loves to learn the language of the Quran in an engaging, fun and meaningful way. Tired of attending so many Arabic courses, but still could not even do a simple grammatical analysis (I'rob) on a simple Arabic sentence. This is the course you have been searching all this while! We will meet up 2 hours weekly for 16 weeks that will add up to 32 hours. The remaining 16 hours, you must spend at least one hour per week at home to practice what I share with you every week. This might sounds ridiculous to some, but many have applied these methods and have been proven wrong. So take your first step to a whole new experience of understanding the Quran. Now, the question is, why should you listen to me? You see, I had the same burning passion to learn Arabic before I entered Singapore Polytechnic. ​I didn't know how to fulfil that passion until Allah invited me to study at Umm al-Qura University in Makkah al-Mukarramah after I graduated from poly. I went to Makkah with zero Arabic knowledge and spent almost 7 years there and graduated with a Degree in Teaching Arabic to Non-Arabs. You can see that I started learning Arabic as a youth and every day my love for Arabic Language grows stronger. So strong that I want others to feel what I am feeling. And so, every time I entered my Arabic class in the university, I kept asking myself throughout the lessons, "How can I make this language easier for others to learn? I observed and gathered all the best practices and designed a short yet comprehensive course for non-Arabs, especially for English speaking friends. I believe, with the right guidance and methods, you will be falling in love all over again when you read Allah's love letter to you, the Quran. I will help you to appreciate this miraculous language in the fastest and most comprehensive ways. ​Why is my course different? Use of "Express 'Irob Process Table"
All these in only 48 hours! Start Your 2019 With A Step To Understand The Quran! ​Register before 10th Dec 2018 to enjoy early bird discounts! Click the button below to discover more and register! And look at how inspired our students are! "Alhamdulillah Ust Muzzammil's teachings are very effective whereby he is able to teach ways which made the class able to understand a specific part of lesson much easier. An example is relating a particular Arabic grammatical term to a Malay grammatical term as the Malay language has a big influence from Arabic language. After attending Ust Muzammil's lessons, I am more aware of the language itself and also made me wanted to learn more so I can understand the Al-Quran much better. I would gladly recommend not only the Malays but also the NON-speaking Malay muslims to learn from him as he is able to explain in English too." "After attending Ust Muzzammil’s lessons, I can understand the Qur'an better as he managed to let us see the real meaning of the words in the Qur'an. Not only that, but he also guides us to apply those knowledges on other verses. Now, I am able to discover on my own, what one similar word can do to change the whole meaning of a sentence.The feeling of this whole discovery process is just so amazing. MashaAllah... Ustaz is right. It's like solving a puzzle. It's hard sometimes, but it leads to beautiful answers once discovery has been made! Ustaz Muzzammil’s classes are highly recommended! I had a hard time understanding/remembering I'rab in my first Arabic Class which I took last time. Ustaz Muzzammil did it in only 2 lessons! Voila! :)"
"I love the techniques used by Ustaz Muzammil in his class. It is precise, could be easily absorbed and understood. I am currently attending another Arabic class but to be honest, I prefer Ustaz Muzammil’s class over the other. The basis of my comment would be the techniques used. Ustaz’s explanation has made me understand topics which I had difficulty in understanding. That totally made a lot of difference. Above all, his motivation in teaching this language and always telling us that we will be able to understand Arabic, inspired me till today! After getting to know that Ustaz was from a secular school like many others and from someone who had no idea or clue in speaking Arabic language and now to be a teacher who teaches this language, this has changed my pessimistic views about learning Arabic. I now believe that if he and many others can make it, so will I one day. As the saying goes, "If there is a will, there is a way". I will definitely recommend others to join Ust Muzzammil’s Arabic Classes!" 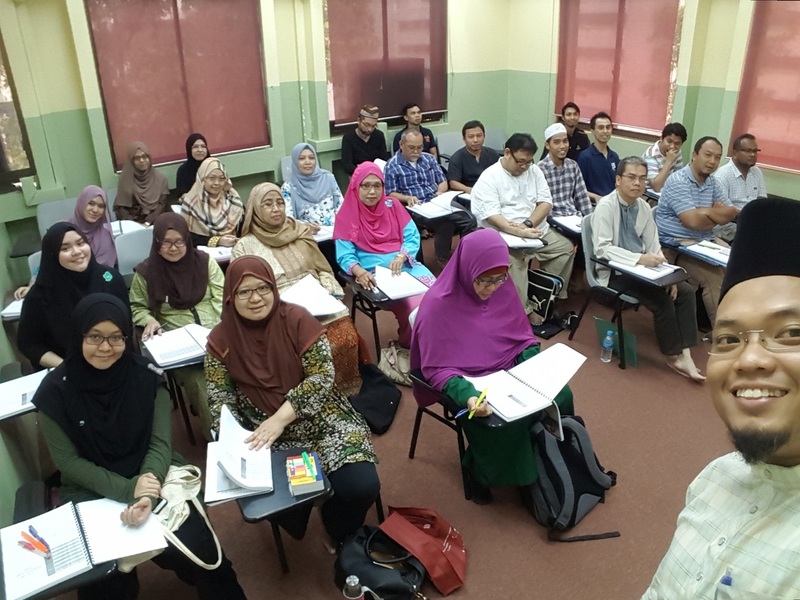 "​Ustaz Muzzammil's teaching techniques offer students a different way of learning the Arabic language. It is not all about memorizing, but also about understanding concepts and processes which is essential in learning the language. I have attended other Arabic classes but Ustaz Muzzammil's classes are different due to the fact that Ustaz introduced process table in Arabic language which made it easier for me to understand and memorize as compared to the traditional way of learning Arabic which is 100% memorization. Definitely recommend others to join Ust Muzzammil’s Arabic Classes." "​The combination of languages ie Arabic, Malay and English really helps me to understand better. After attending Ust Muzzammil’s course, I am able to understand and appreciate words in Quran when reciting. And yes! I recommend anyone to go for his courses!" "​I've always thought that Arabic language is a very difficult language to understand no matter how many times I learn it. After attending Ustaz's lessons, I felt the joy of learning. Especially when reciting the Al-Quran, there's a different feeling to it. I can see the beauty of Arabic language in the Al-Quran itself. I certainly recommend anyone to join Ust Muzzammil’s Arabic Classes." "​Alhamdulillah ustaz's teaching techniques made me understand much better in a way that ustaz gave relevant examples and explanations that link closely to our daily lives. At the same time he guides us on how we can apply those knowledge and wherever possible, teach others. At the same time, Ustaz likes to give advices and tells us hadiths from Rasulullah saw which made me reflect on how I can be a better person and made me more eager to learn Arabic Language. Ustaz Muzzammil made me realise and ponder upon on how beautiful and magnificent Arabic Language is. I am able to see how the meanings and arrangement of the verses in the Quran perfectly suit together. Understanding the Al Quran is amazing through learning Arabic Language. Attending his classes is definitely a go!" 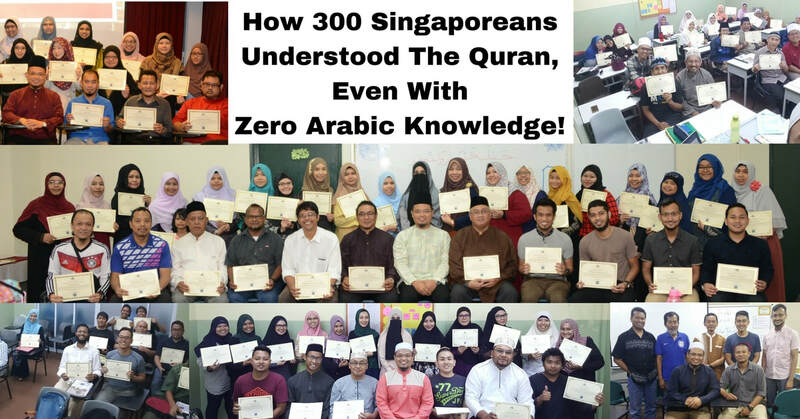 "I have attended an Arabic class before in one of the mosques in Singapore which I didn't complete (2007-2008). Currently, I am attending an Arabic class in a private institute but I still have difficulties understanding certain topics & sometimes the lecturers ran out of ideas on how to explain. However Ustaz Muzzammil's lesson are different from these two because he doesn't use the classical way of teaching through repetitions. Ustaz himself is a fun, friendly and entertaining person and very, very patient. He always tries to teach us how we want to be taught by putting himself as the student. Ustaz's lessons are never boring. I always looked forward to his classes. He promised that his classes will be fun & he did fulfil that promise. Two thumbs up!" "​Ustaz Muzzammil’s teaching techniques are easy to understand, thus suitable for beginners. After attending Ust Muzzammil’s classes, I can understand my daily Quran recitation and prayers." "​ Ustaz Muzzammil is very clear in his teaching. In class, he will use Arabic words found in the Malay Language since we have already known those words all our life. In addition to that, he also uses gestures and whatever resources he has, to ensure that we understand what he is trying to say. This method is good because it makes the students critically. Lecturer also relates certain grammatical rules to the verses in the Quran. This is a good technique because it makes us understand the Quran better. What makes Ust Ahmad Muzzammil’s lessons different is, Ustaz is very engaging and he ensures his students understand before he proceeds to a new topic. I would definitely recommend anyone to join his classes!" 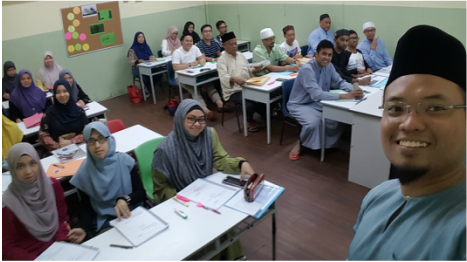 "​I used to join other Arabic classes but I always felt, "You know what, I cannot do this, this is for gifted people or students that studied in a full time madrasah." The giving up feeling when you have to pursue something you always wanted is not the right start. But in Ustaz Muzzamil's class, he is very humble and willing to lend that helping hand to you even when you are slow and could not catch up, he will find a way to approach it in a new way. Now, when I read the verses in the Quran, it gets fun and gets me thinking compared to last time. Definitely will recommend others to join Ustaz's Arabic classes/workshops." "​Simple but informative. 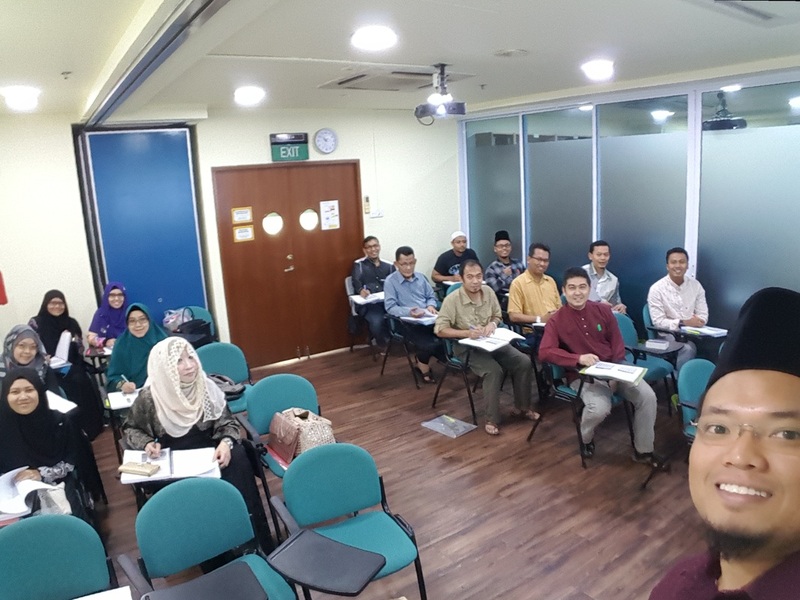 His class is very engaging and Ustaz Muzzammil loves to elaborate and makes us understand why certain rules in Arabic Grammer are written in a certain way rather than just memorising them. Ustaz also never fail to spur my interest in learning the Al-Quran by using verses of the quran as examples. This way, I can apply what I learn in understanding the Divine Book better." ​To Enjoy The "Early Bird Discounts"! P.S: I Have Limited Seats For The Course. So Respond Now To Avoid Disappointment. 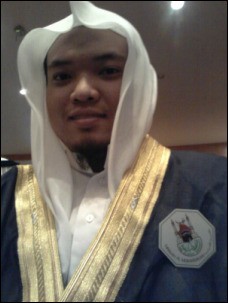 Founder of Arabic Lab SG. Billions of Muslims appreciate Islam more through appreciating the Quran. Now it's your turn. You've got nothing to lose! 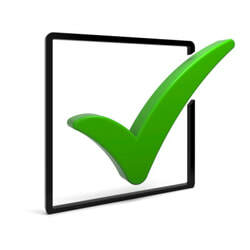 You must respond now to lock in your seat at a special early bird offer! Make a change now! If not now, when else?